Throughout the years we hold several events to raise the funds that allow us to better serve our community. In hosting these fundraising events we are able to continue to help local charities and organizations such as Valley Area Little Leagues, Valley Youth Soccer Association, Hoop Shoot Program, Eagle Scout Recogniti...on Awards Ceremony, Area High School Scholarships, Veterans’ Services, Drug Awareness, Christmas Charities and so much more! 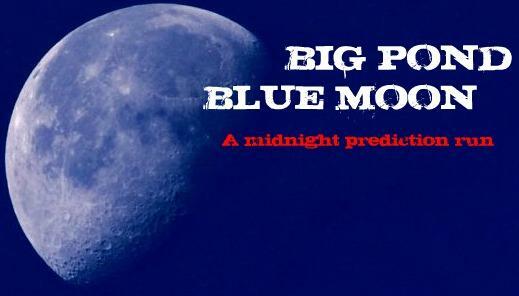 We are striving to make this event a huge success!! Whether you would like to contribute as a participant, sponsor or volunteer - we want and need you!!! Pre-Registration & Sponsorship forms are available in the lounge during business hours (or shoot us a message with your email and we can forward what you need that way). We are looking forward to starting this new and exciting fundraiser for our community!!!! 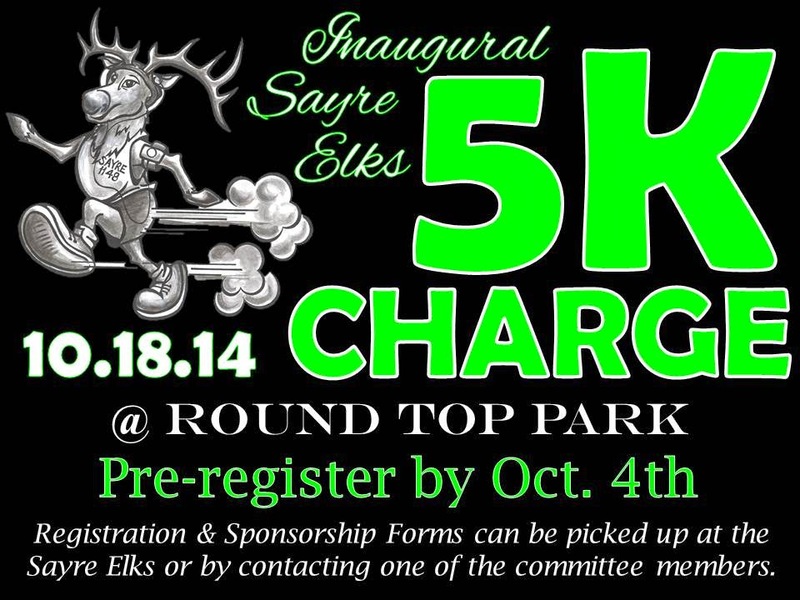 The Inaugural Sayre Elks 5k Charge will be on Saturday, October 18th, 2014 at Round Top Park. Pre-Registration will be due by Saturday, October 4th to lock yourself in for the awesome race t-shirt! Pre-Registration will be $20 and Race Day Registration will be $25. 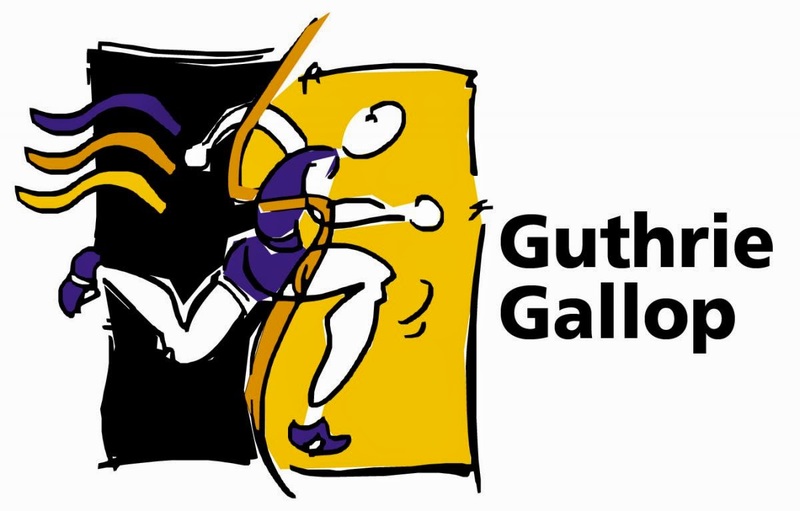 Packet Pick-up will be held at the Sayre Elks Club on Friday, October 17th, 5:00-7:00pm. The 5K will be held at Round Top Park where you will be able to enjoy the beauty of the fall foliage. 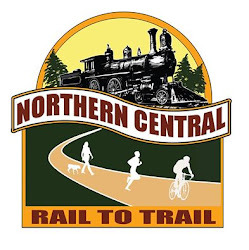 This course is a true cross-country course with rough terrain and hills. If anyone is interested in volunteering with this fundraiser, we will need all of the help we can get! !